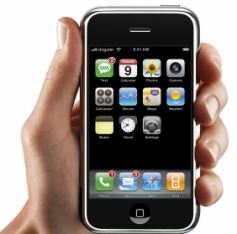 It was five years ago, in June 2007, when Apple first introduced the iPhone. However, up until earlier this week I was a conscientious objector. I re-buffed the whole phenomenon, branding it ‘techy’ and unnecessary and anybody who owned one as distinctly anti-social. Now, what can I say, I can’t put the tremendous thing down! In truth, this humble device is actually making me more of a social animal as my WordPress, Twitter, Pinterest, Instagram and other social media accounts are now easily and readily at my fingertips. So, for that, I must be thankful. For now, we’ll just ignore the fact that I no longer require any kind of human interaction because this device does it all and I’ll save my thoughts on people being in love with inanimate objects for another post.